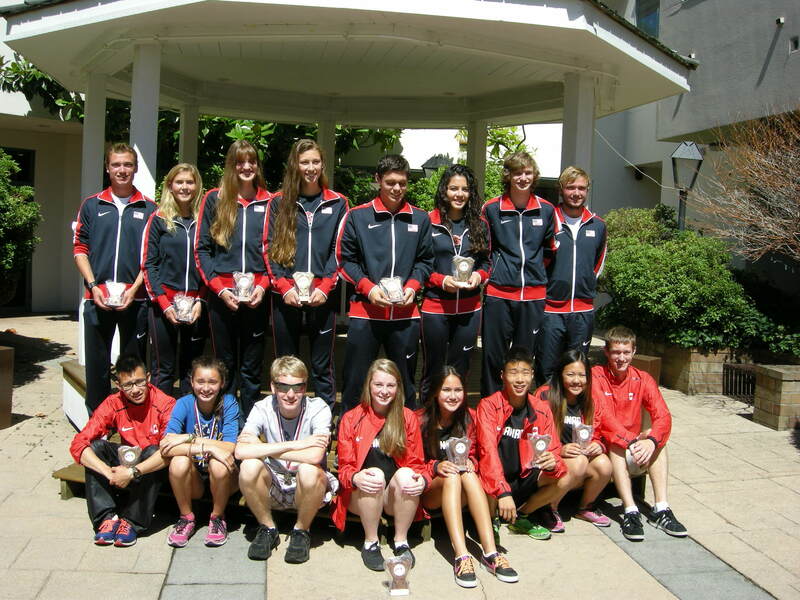 The 2014 Richmond International Race Walk and US\Canada Jr Dual events provided an exciting day of high level competition after a workshop held the previous day on the most sophisticated Biomechanics work being done in Canada in the event field. 33 competitors started and finished the race and over 50 people attended the workshop. The athletes in the Walks events represented 5 countries and 3 provinces. Race day was a perfect cool and clear for the start. The course was an interesting but technically challenging 1.25 km out and back on the Richmond Dyke which holds back the Fraser river. The 26th edition of the US/Canada Jr Dual saw the US women deliver their own workshop on consistency and quality with all 4 of the US women finishing in order with just over 1 minute separating 1st from 4th. The very young team of Canadian women came across with 3 out of 4 personal best performances. The US women scored a perfect 16 points to Canada’s 6. On the Men’s side the Canadians fared better finishing with the top 2 spots with the US athletes taking 3rd through 6th place. Canadians rounded out the standings with 7th and 8th place finishes. The Canadian Men finished with 13 points to the US 9. Overall the US was able to maintain the commanding lead for a 25 to 19 combined team victory. Notable performances were registered by 13 year old Kyra Danielson with a 31:09 for her 1st 5k ever. 14 year old Nima Parsakish, also competing in his 1st 5k ever posted a 32:07 time. Katelynn Ramage, after knocking on the 50 minute 10k door for well over a year finally broke through with an 80 second PB of 49:44. Evan Dunfee started his march toward the 30k record by posting a solid and evenly walked sub 2:12 time in his 1st official attempt. 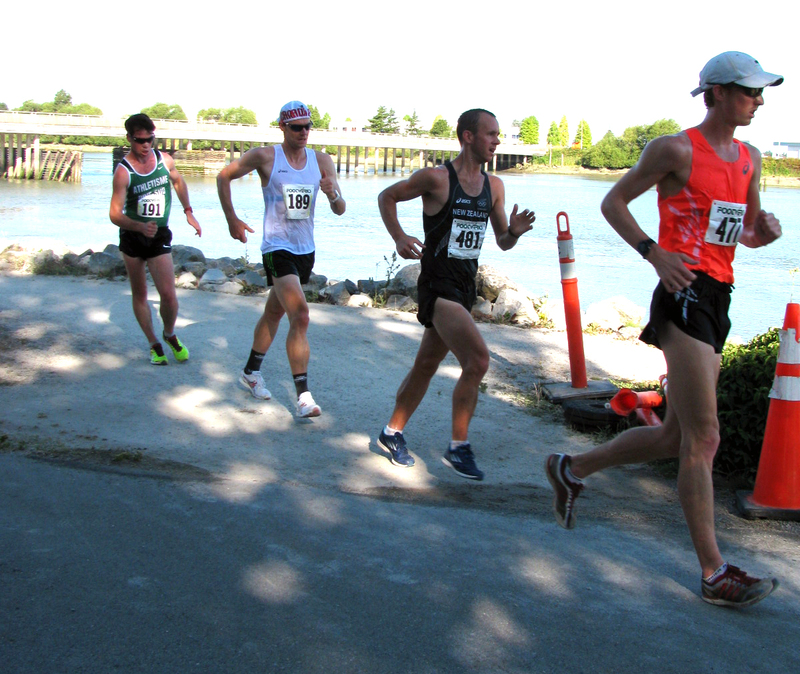 This event also saw the debut of 30 year old Mathieu Bilodeau who posted a very impressive 1:30:23. Bilodeau is coached by multi-time Olympian Janice McCaffrey and is looking to make his mark in the 50 km event in coming seasons. The event was attended by Richmond municipal officials who got to see the quality of the competition first hand as well as some of the technical challenges with the current site. Discussions were started before the finish of the event about modifications to the course that would allow for far faster performances. After 15 years of searching high performance race walking may have found a home in BC.